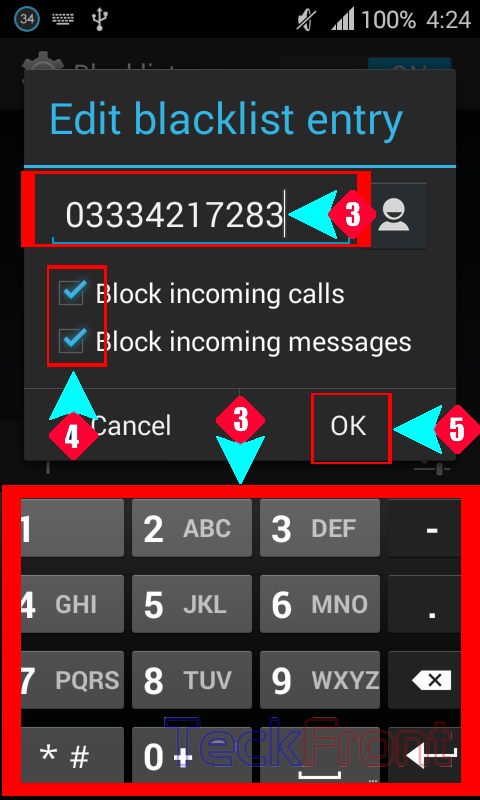 How to Blacklist Contact for Incoming Calls in Android KitKat 4.4.2? Command Line: Phone Dialer > Settings > Call Settings> Blacklist > Switch ON. It will make you understand; how to enable Blacklist. When you have understood the process to switch ON the ‘Blacklist’, just follow the instructions to blacklist any contact. Command Line: Blacklist > Add Contact > Edit blacklist entry. 1: When you have switched ON the ‘Blacklist’, tap the ‘+’ button, available at the lower right corner of the ‘Blacklist screen’. It will open up a prompt to edit blacklist entry. 2: The ‘Edit blacklist entry’ prompt here is used to enter new contact. 3: When you will tap on the place, set for the entry, a keyboard will appear below the prompt, helping you to enter the contact number. 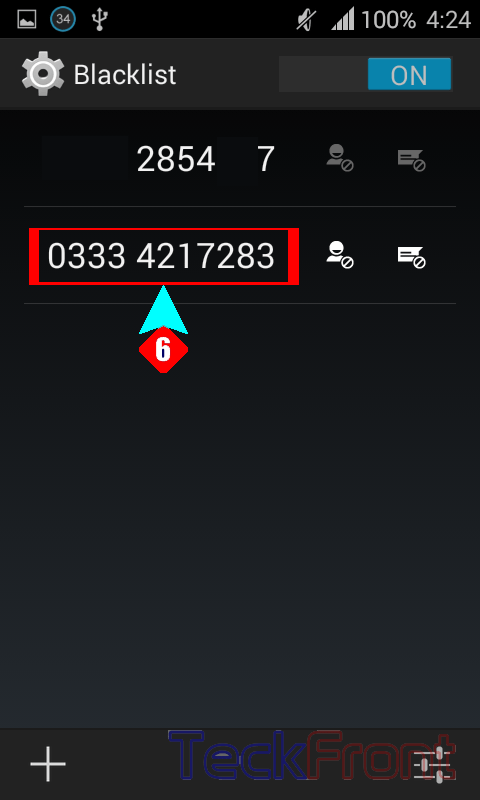 Write the contact number here with the help of keyboard. 5: Close the popup menu by tapping OK.
6: See one more number is added in the list of blacklisted contacts at the Blacklist screen. 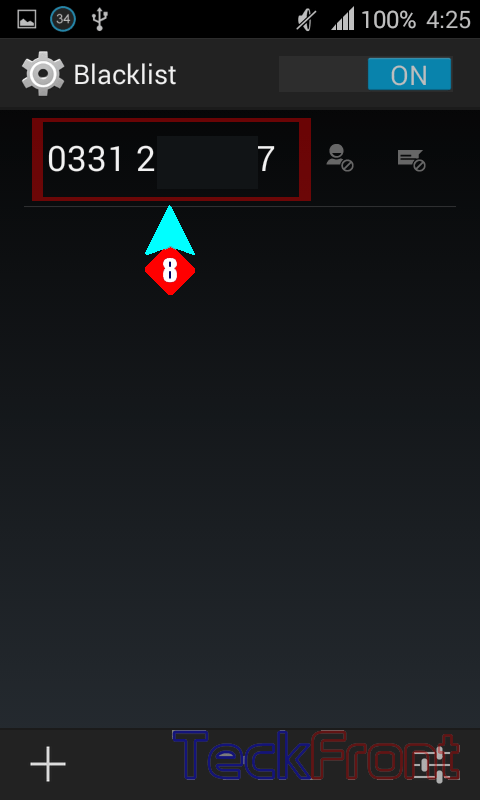 7: If you want to delete any contact from ‘Blacklist, tap the contact number. A prompt like previous will open up but with a little addition, i.e. ‘Delete’. 8: Tap the ‘Delete’ to delete the contact from the ‘Blacklist’. 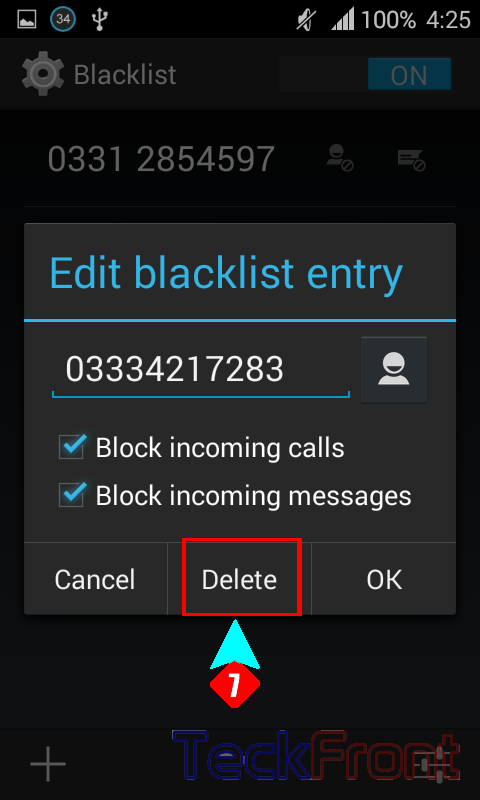 After asking your permission to remove the contact from blacklist, it would be removed. 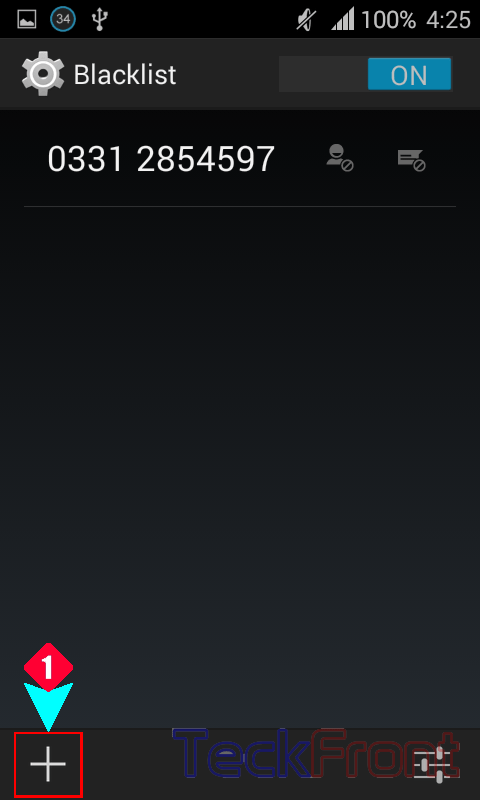 9: See the contact is removed from the ‘Blacklist’ and only one contact is there in the ‘Blacklist’. That’s all! Newer How to Inter-Change b/t Front and Back Camera of Android KitKat Phone?